4mm genuine citrine gemstone - November birthstone. Product photo enlarged to show detail. 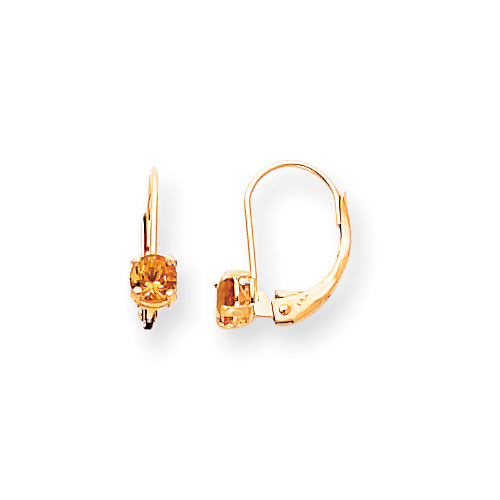 Each earring measures approximately 1/2in x 7/16in (i.e., 12.7mm x 11.1mm). This item is estimated to ship in 3 - 4 days (excluding holidays & weekends). Add transit time for estimated delivery date. Click for details.